My two oldest boys get on each other’s nerves something fierce these days. Recently, however, the fights were different. Tensions were high because of a deep mistrust that had burrowed itself into the mind of my eldest. Every word spoken and every action taken by his brother brought him to the brink of a tantrum because he felt like his brother was “out to get” him. During a particularly hard day when everyone in the family had gotten frustrated with his attitude, he wailed to his dad, “I feel like everyone is against me” and it finally clicked. My little boy was believing lies. You see, we have this enemy who wants to devour and destroy anything good in the lives of our boys. He does not want them growing up with a strong bond of brotherly love, and he will do what it takes to tear that bond apart. Lies were being whispered into the mind of my son: lies about the motivations of his younger brother, lies about the intents of his parents, lies about his own worth. 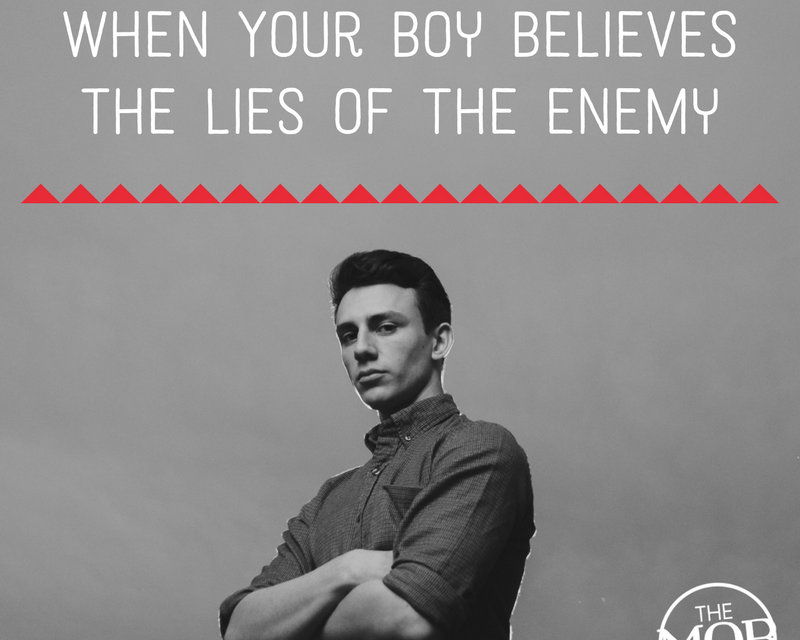 These lies found a fertile breeding place in his unprotected mind, and the insecurity bred there moved down into his heart, turning him into an anxious, hypersensitive, reactive little boy. His actions stemmed from his heart, which is informed by his thoughts. It was time for him to learn how to put on his armor. My sweet boy needed to learn to put on his helmet of salvation every day to protect his mind from the enemy’s insidious lies. What does it mean to put on the helmet of salvation? Essentially, it means to remember the truths of our salvation and allow those truths to work so deeply in our minds that they forge into a protective barrier. 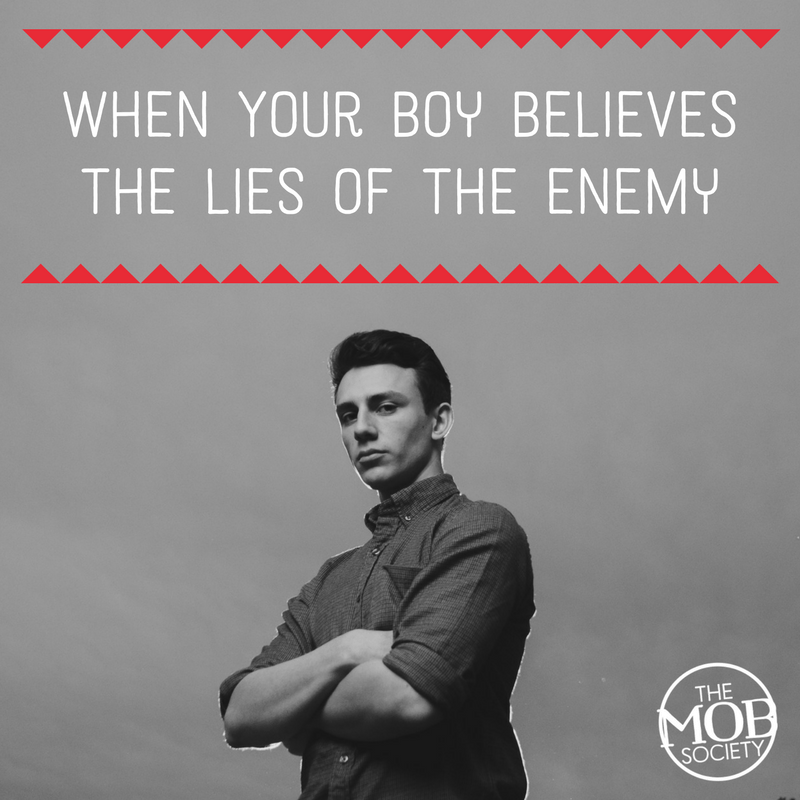 We need to remind our boys continually of their salvation in a way they can understand. As we teach them these truths, we are teaching them to put on their helmet of salvation so that as they grow, they will be equipped for the spiritual battle set before them. There are 6 primary aspects of salvation that we can teach our boys. 1. The helmet of salvation reminds us that we have been called out of a life of sin and shame. 2. The helmet of salvation reminds us that we have been saved from the penalty of sin. 3. The helmet of salvation reminds us that we have been given a new heart. 4. The helmet of salvation reminds us that we have been brought into the family of God. 5. The helmet of salvation reminds us that we are participants in God’s work. 6 . The helmet of salvation reminds us that we will one day be with God in glory. The helmet of salvation protects him against the lies of the enemy. What I desire for my boy is that God’s truth and a deeper understanding of salvation would drip from his helmet down through his mind and deep into his heart, for when his mind is renewed, he will be transformed to better reflect the glory of God. For a great resource on the Armor of God for elementary/middle grade boys, check out UNSEEN: The Prince Warriors 365 Devotional by Priscilla Shirer. Also for elementary-age boys is Priscilla Shirer’s Prince Warriors series. This series is what first piqued my son’s interest in the Armor of God, and reminded me of its importance in our lives! PreviousChrist-Centered Valentine for Preschoolers – FREE Printable! Christie is the mom of 3 boys and wife of an educator (who doubles as her personal key-finder). She is the Director of Children’s Ministry at her church. Her passion is to help parents and kids live the abundant life in Christ. Check out her YouTube channel: the Bedtime Devo Mama! 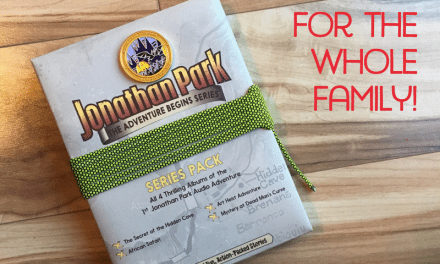 Faith and Adventure For the Whole Family with Jonathan Park!